MAY 3, 2017: 1 year ago today, I found my way back to CrossFit. My first day back, I weighed 270 lbs and was completely out of shape. I had lost all the strength I had in the past, and had a hard time completing the warm up, let alone finish the metcon. Fast forward one year and I now weigh 218 lbs, my strength is up and most importantly, my mobility and cardio are better than ever. Huge thanks to Andre Pulizzi for the awesome programming and the CrossFit Mora community for all the help, encouragement and motivation! In October 2016 I was suffering through a very bad back injury - I could barely walk and my physical activity came to a halt. I was injured decades ago and never took care of it, then one day it snapped. I got an epidural cortisone injection and restrained from any exercise for 4 months (did only very light yoga core movements). In January 2016, as part of my physical therapy plan I went back to CrossFit Mora and asked coach Andre to help in my rehab. Everyday, he would create a special workout for me since I couldn't lift weights, couldn't run, couldn't jump, and my legs were incredibly weak. I learned a lot about my body and Andre didn't let me get ahead of myself either. After 4 months, I slowly started running again (only 15 mins)... Fast forward 10 months since going back to CrossFit, and I've PR'd my Back Squat (105 lbs), my Split Jerk (95 lbs) and my Bench Press (97 lbs). I ran 5 miles in 44 mins and my personal best is 2 miles in 14 mins. Thanks Coach Andre and friends at CrossFit MORA for the support and encouragement. Measurable data, is what I really needed. Hydrostatic body fat testing was my choice. I did this for myself, to see where I was at physically. I wanted to see if all the workouts that were programmed, the nutrition that I was following, and the advice from my coaches was actually legit. My first time doing this test was a few years back, second time was January 2016, and third was a follow up eight weeks later in February. A few years ago, I had goals that were different than what they are now. Back then, my goal was to lose weight, thinking that if the weight was off, everything would be better and I would be healthier. I was given some advice from what I thought was a knowledgeable source, followed a nutrition plan, and did the workouts. Of course the weight came off. I was following a plan. That's good, right? My cardio was on point, and I was “skinny”. I should be happy… I wasn’t. It was hard to maintain. I had a mindset that certain foods were labeled “bad”, and it made me want them more. My relationship with food was extremely unhealthy. My emotions and sleep patterns were completely out of whack. My body was basically living on a very limited number of calories, and essentially starving itself. My body went into survival mode. It held onto all the fat it could, and I lost muscle. I lost my strength, and wasn't able to perform like I used to. I found myself completely exhausted at the end of class and my endurance was gone. My cheat meal would turn into cheat days, followed by cheat weekends. Which lead me to gain weight. I had to do something different. I needed to educate myself and learn as much as possible. CrossFit Mora happened. Life changing. I had been training with Andre, Robert, and Holly for quite some time when I decided to slowly start the process of this new mindset. They had been telling me that it doesn't have to be that way, but I chose not to listen at the time. Like a broken record, they repeatedly tell me that the weight on the scale doesn't matter, and that my health was more important. Hard to wrap my brain around, but I was willing to give it a try. My goals changed to performance. Getting my body fueled to perform better, faster, and stronger. I had been loosely doing a meal plan that incorporated clean eating. Seemed to work way better for me. I allowed myself to not be so strict and to be ok with weight gain. My body was not bikini perfect, and that was fine by me because my mind was clear. I gained strength, confidence and was at a happy place mentally. The goal in the Lean in 2016 challenge, was to lose body fat BUT gain lean muscle. This was the kind of challenge I needed to get back on track. So many gym members and coaches were doing it too. With the support of my entire CrossFit family and the other coaches behind me every step of the way, I decided to join the challenge. I had questions, lots and lots of questions. They answered ALL of them, and sent me articles to read, videos to watch, and recipes to try. They wanted me to succeed. I wanted to learn more about food and how it effects my body. Everyone is different and every body type is different. Flexible dieting is what I found works for me. Macros, timing of meals, when to specifically eat carbs and fats, counting everything in grams, learning portion sizes, volume of foods... everything seemed overwhelming at first. But the more time I spent learning, the easier it became. I got it! It actually made sense. No food is labeled as "bad". All in moderation and measured. I can eat cereal, pancakes, and ice cream if I choose and not feel guilty about it. I don't have those ridiculous cravings anymore. I allow myself to have a little of everything and don't feel the need for the huge cheats. I had more body fat and less muscle when doing the crazy low calorie diet and lots of cardio. CrossFit, strength training and proper nutrition is what changed my body. My body fat percentage is lower than when I weighed way less than I do now and lean muscle mass has dramatically increased. This was the proof I needed to know I was on the right track. I perform better, am stronger, and faster. Again, this is what worked for me. I encourage everyone to try different approaches until you find what works for you and your lifestyle. Listen to your body, train smart, and educate yourself. "Numbers don't lie, check the scoreboard" -Jay Z.
I’ve been a member of CrossFit Mora for 7 months now and have gone through many changes. I joined with the hope of staying active after having a baby and becoming a stay at home mom. Prior to joining CrossFit Mora I had no workout experience whatsoever. I did not life weights, I did not run, and I had not been on an exercise regimen in at least 5 years. I came by to watch a CrossFit class in action and signed up immediately. Although it felt intimidating to know that I would be doing some of the exercises that the others were doing, I did not want to talk myself out of a challenge and doing something that would be good for my health. I started off with the lightest weights available and have felt nothing but support and encouragement as I’ve increased my strength and abilities. It has been very encouraging to see the changes in my body and lifestyle in such a short time frame. Withinthe first 6 months I noticed dramatic changes in my body and started discovering muscles I never knew even knew existed! To supplement my new workout routine I decided to start a meal plan offered by CrossFit Mora. Although it is a 12 week plan, it has really become a way of life for me. It is personalized to what I like to eat, when I like to eat, and my personal health goals.This has made it easier for me to stick with the plan throughout the 12 weeks and beyond. I’ve been educated on what foods to eat when and have learned what types of foods I should be eating to help me reach my fitness goals. The meal plan helped me lose11 pounds just in time for my wedding and I have lost 15 pounds since joining. CrossFit Mora has helped me reach fitness goals that I never knew I could reach! I joined CrossFit Mora in August 2014. Prior to joining CrossFIt Mora, I was a member of another CrossFit gym, but wasn't very consistent in training and, to be honest, didn't enjoy CrossFit all that much. I wasn't very good at it and couldn't lift very much, so I spent most of my time inside a traditional gym, lifting weights and spending hours climbing the stairmaster. Coach Robert is great at explaining things and is always ready to drop some knowledge - whether it be breathing techniques, different steps to execute a lift or tips for recovery. In the months since I’ve joined CrossFit Mora, my strength and form have improved considerably and I went from not really liking crossFit to competing in two crossFit competitions earlier this year. I’m the strongest I’ve ever been and have been hitting PR’s consistently, and haven’t stepped foot in a traditional gym since I joined CrossFit Mora. The thing that sticks out to me the most about CrossFit Mora is the sense of community. From the coaches down to the members - everyone is so supportive of each other. If a CrossFit Mora member is competing in a competition, guarantees they'd have the most supporters in the crowd. Cheesy to say, but I've also made some lifelong friends at the gym - our texts over how hard a WOD was and our moaning and groaning about how sore we are have created unbreakable bonds. For me, CrossFit is also a family affair. My husband and oldest son are also members at CrossFit Mora and have also seen significant improvement in their strength. If we've accomplished that much in less than a year at CrossFit Mora, I can't wait to see what we can do in the upcoming year! Let’s see… Where did this journey begin? Oh yes… I started CrossFit in June of 2013, just 4 months after my 40th birthday. Before joining, the extent of my physical activity was a mile walk on the weekends or participating in D-league softball. To say I wasn’t exactly in peak physical shape would be an understatement. 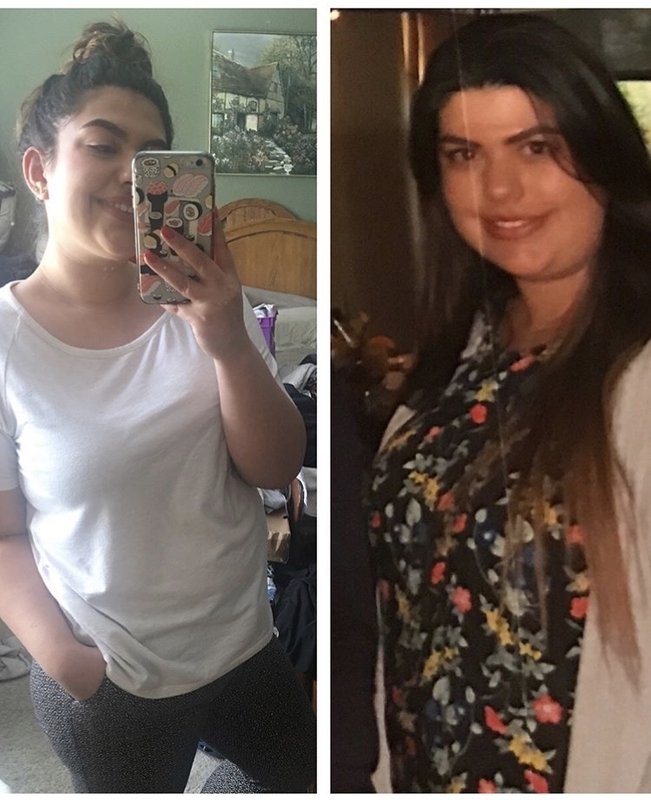 In my first year I saw a lot of improvement in both my physical well being and my appearance, but it wasn’t until I joined CrossFit Mora in August of 2014 that I started seeing drastic improvement. I competed in the CrossFit Open for the second time in 2015 and with Coach Andre’s guidance and motivation I performed exponentially better in all of the events. I can say with confidence that I am more physically fit at 42 than I have been at any point in my life and I owe my transformation to Coach Andre Pulizzi. As an added bonus, CrossFit Mora is not only a great place to work out, it is a great family. There are routine gatherings both at the gym and at offsite locations. And when it comes to supporting members at events, I have yet to see a competitor have a larger cheering section in a competition (CrossFit, Strength comp, Mas wrestling tourney, 5k and other running events) than our Mora competitors. CrossFit Mora is the place to achieve your health and fitness goals. Of all the gyms I've been to, it's the most professional, well run and cleanest, with high quality equipment. The members are friendly, welcoming and supportive. Walking into a CrossFit gym for the first time can be intimidating, but Andre and Holly make everyone from fitness beginners to seasoned athletes feel welcomed. I had been doing CrossFit for about a year when I joined CrossFit Mora. I built my strength quickly, hitting personal records in weightlifting and learning new skills faster in the first few months than I did in the entire year prior at my previous gym. What I find unique about CrossFit Mora is that they encourage you to set your own goals, whether that's getting stronger, becoming a better athlete or looking and feeling better physically. Andre and Holly want you to succeed and reach your full potential in whatever aspect of health and fitness is important to you. The coaches supported and encouraged me through training for a half marathon and competing in my first CrossFit competition. The members are like a family and we always have the largest cheering section wherever we go. Besides having great camaraderie among the members, the coaches of CrossFit Mora are all well educated and knowledgeable about diet and exercise. They emphasize safety and proper lifting techniques as well as teach and encourage mobility and proper rest. The coaches at CrossFit Mora will adapt the programmed workouts to meet your skill level and any physical limitations you may have. I broke my toe and thought I would be out of the gym for several weeks, however Coach Andre designed exercises that worked around my limitations so that I could still keep consistent with my workout schedule. At CrossFit Mora they go above and beyond to make sure all members' needs are met and that everyone feels part of the "family." I am proud to have been a founding member of CrossFit Mora and look forward not only to continuing to grow in my fitness knowledge and abilities, but also to continue to build friendships with those who share my love of fitness! My CrossFit journey began in September 2014 when CrossFit Mora opened their doors. I had been curious about CrossFit for a while, but was very intimidated about trying it. I did not have anyone to go to the gym with and I had not been active in years. To be honest, I was super lazy and used every excuse in the book to avoid exercise. Finally, I got the courage to take that step and began the Starting Line class (it’s basically for newbies who don't know much about lifting or CrossFit). Being that the gym had just opened, I was the only one in the class (looking like a weirdo who could barely hold the 15lb training bar). Coach Andre made me feel very comfortable and assured me that everyone goes through an awkward learning phase and that it takes time to gain strength and learn technique. Every so often other members would happen to come in while I was working out and they were very supportive and friendly. They would cheer me on during a metcon that was literally killing me and gave me compliments when I completed it. After a few weeks, I completed the beginner’s class and had to decide on a new class to attend. I discovered that I really enjoyed the strength portion, which was more in line with the competition class. I was in no way at the competitor level, but the class was open to anyone who just wanted to get their lift on. To my surprise, I looked forward to the gym 4 days a week. After several months of sore muscles and metcons that would leave me laying on the floor unable to catch my breath, I was seeing huge results. I started to notice things like my booty becoming perkier, my biceps growing and my thighs began leaning out. I pulled out shorts that I had not worn since the previous summer and they fit SO much better. Family members and friends made comments about how great I was looking. In addition, I was (and still am) making huge gains with the weights. I graduated to the regular girl bar for most lifts and continue to add on weight week after week, PRs on top of PRs. Now, I'm squatting and deadlifting over 100lbs! I still have much to learn and work on but I am feeling and looking healthier than ever. An added bonus is that I am able to bring my 3 year daughter with me a lot. To hear her cheer me on and mimic the workouts makes me feel like I am setting a great example for her. CrossFit Mora is an amazingly supportive and trustworthy gym. From its coaches to it members, it’s great to be a part of their family. And to think, less than a year ago I was so scared and intimidated to even try it out! Moral of my story - don’t let your fear or insecurities stop you from taking that step. It will definitely pay off.